L and A Lettings provide various options for maintenance which include a 24 hour round the clock property maintenance and emergency repair service for all of their tenants and landlords. Simply report the problem to our 24 hour emergency help line and we will arrange a suitable time to send a team member or a skilled tradesman out to the property. 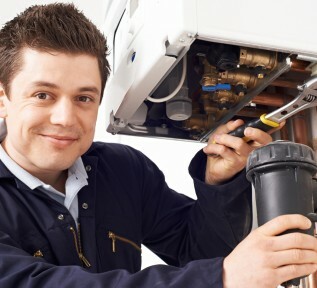 Very occasionally common minor maintenance issues can be resolved without the need of a tradesman, that’s where the team can help save the landlord money as the problem can be solved easily e.g. report that heating isn’t working, the boiler pressure requires topping up. L & A Lettings use the most skilled and experienced tradesman to maintain their managed properties, as we manage a large stock of property we are able to get the most competitive rates for high standard maintenance. Where costs are within the scope of one month’s rent, we will pay the tradesmen directly and then deduct the amount from your rental income. This helps the landlords cash flow and saves them time; in instances where the invoice is more than the month’s rent we will invoice the landlord direct. Property issues are assessed by a member of our staff, once the problem has be identified, tradesmen are allocated as and when required. An email will be sent sent to the landlord to make them aware of the issue, and how we are managing it. Any major issues such as i.e. boiler replacement, would be discussed with the landlord and approved before taking any action further. L & A Lettings will assess the issue and providing that the work will cost less than an agreed amount (ie: £300.00), we would go ahead as with full management, send a tradesman and email the landlord. Any work required that could be over the agreed budget would require approval from the landlord. Our team will still attend the problem in case it is an issue that can be easily resolved. We would then discuss the issue with the landlord and either obtain a quote for the work required or the landlord would manage the issue themselves. For further information or for any questions you may have, please do not hesitate to contact us today or call us directly on (01902) 560 408.